Are you thinking of welcoming a German Shepherd into your family? 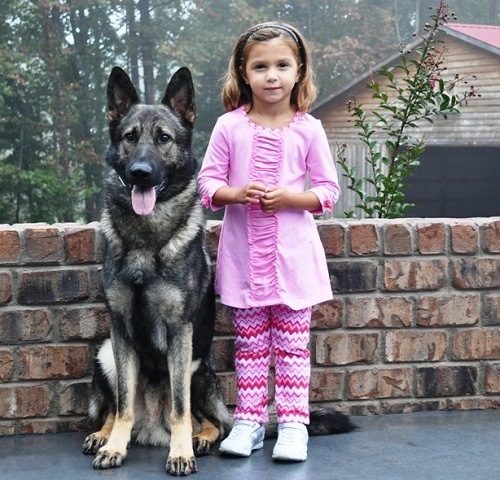 Potential GSD owners are usually curious about this extraordinary breed. 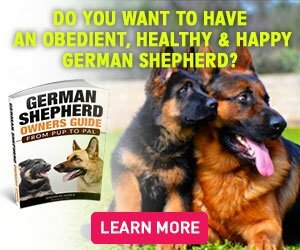 This (hopefully) helpful guide is filled with interesting and exciting information about the German Shepherd breed. One of the first questions potential dog owners ask themselves is if GSD is the perfect breed for them and their lifestyle. The following details will bring you on a journey of learning more about German Shepherds and help you make your decision. The long haired German Shepherd tends to shed less than the short hair because the long-haired GSD does not have an undercoat, and the short hair does. Daily brushing is required year round. Although daily brushing and vacuuming may sound overwhelming, it makes up for with bathing. You only have to bathe a GSD once per month to keep their coat clean and healthy. If you or your family has allergies, this may be something you will want to consider during your decision-making process whether to get a GSD or not. German Shepherd puppies have floppy ears until about 16 to 20 weeks. During this time the cartilage in the ear becomes strong and hard allowing the ear to stand up permanently. 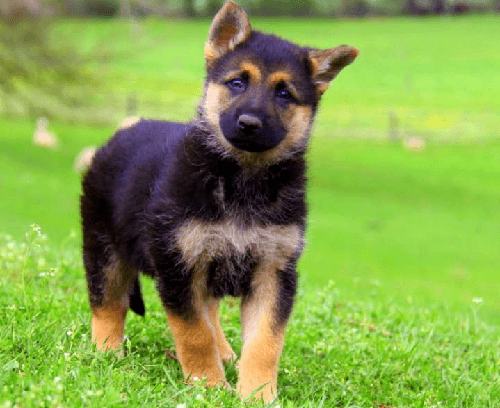 During this process, the German Shepherd puppy will experience his or her ears going up naturally for about one day or so then becoming floppy again for a few days. Full Grown or Miniature German Shepherd? There are plenty of unethical breeders around the world that are convincing people that they have miniature German Shepherds available. While the pups might look like they are a smaller version of a full bred GSD, this simply is not true. The only full bred GSD that is extremely smaller than the standard size German Shepherd are those rare ones that have a genetic defect that causes dwarfism. These dogs can live a happy healthy life as long as they are cared for properly. They tend to bald as they age due to their dwarfism. Breeders should advise potential dog owners of the genetic deformity at first glance because there is a possibility the dog will experience health issues related to its dwarfism throughout his or her lifetime. Some breeders refer to a mix breed such as a German Shepherd and Collie breed as a Miniature German Shepherd. This is not true, and it is truly a mix breed. While the combination of the two breeds results in a beautifully colored dog, it is still not considered a full breed German Shepherd. 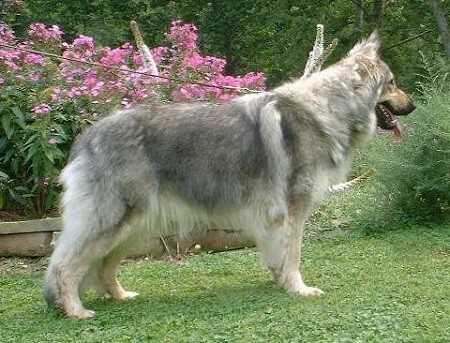 This mix breed also can have different characteristics and temperament when compared to a full breed German Shepherd. Beware of these adorable mix breeds if you prefer to have a full breed GSD. The GSD is naturally a hard worker and enjoys a strenuous activity. They have a bundle of energy and need to be exercised on a daily basis. If this exercise requirement is not met the German Shepherd will get bored and release his built up energy by chewing on furniture and destroying other household items. German Shepherds are great exercise buddies. If you enjoy jogging, running, walking, bicycling, hiking and almost any other outdoor activity you can be assured that your GSD will be right by your side matching your energy level. 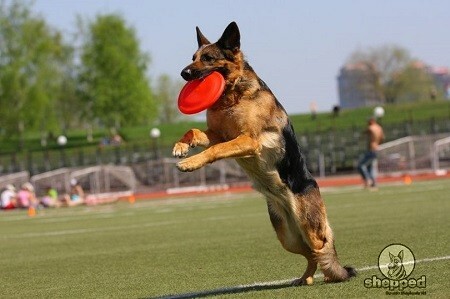 They also love to play fetch, Frisbee, and other games that they can exert themselves and use their mind. If you are an active person or have an active family that enjoys being active and being outdoors, the GSD is a perfect fit. Do German Shepherds have Health Issues? A common health issue that is passed down through DNA is hip dysplasia. This breed frequently suffers from the ailment, but there are measures that can be taken to prevent and treat it. The first signs that hip dysplasia is present is the GSD limping on his hind legs and having trouble getting up from a sitting or lying down position. Dog owners are encouraged to bring their GSD to the veterinarian for proper diagnosis. The veterinarian will conduct a thorough physical exam, process blood tests and possibly take X-rays of the hips. Once the condition is confirmed, the veterinarian will provide a course of action to help the GSD live with the condition. Some solutions that are recommended by veterinarians include consuming a healthy diet, moderate exercise, supplements, prescription medication for pain and inflammation and possibly surgery. 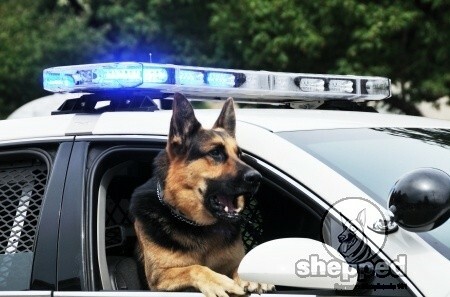 German Shepherds are known to live a long healthy and happy life even though they suffer from this condition. Once you make the decision to be a GSD owner, you will want to begin your search for your perfect dog. Remember, full breed German Shepherds have a variety of color coats such as solid white, solid black, black and tan, black and white, sable, red, black, white and red plus black white and tan. You can begin your search by going online to find reputable German Shepherd breeders or rescues in your community. Remember to inquire about the pup’s parents, possible health issues, health guarantee and proof of good health from a veterinarian. Reputable breeders will be happy to answer any questions and provide you with any health documentation you request. 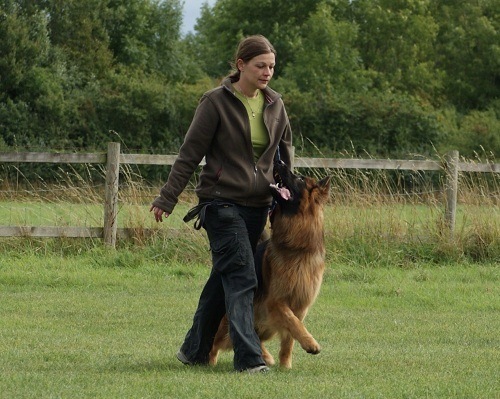 Some breeders may even have a strict purchasing policy meaning they may require you to provide them with details about yourself and your home to assure that the GSD is being placed in a secure and loving home. You can also contact local dog shelters for adoption process information and inquire if they have any pure bred GSD in their facility. You can also request to be put on a waiting list for when a GSD does arrive they can contact you. Always keep in mind that most pet stores have puppies that are the product of puppy mills. Most puppy mills treat their breeding dogs harshly and demand that the dogs produce more puppy litters than what is healthy for them. They also live in harsh conditions and can have a variety of health issues that can affect the health of their offspring. When making a decision to choose a GSD be patient and make sure it is the right choice for you. Always investigate the source of where the dog came from and ask as many questions as you like. You can always ask family or friends if they can recommend a reputable GSD breeder in the area.